Is there a better alternative to THE TICKER? Is THE TICKER really the best app in Newsreaders category? Will THE TICKER work good on macOS 10.13.4? 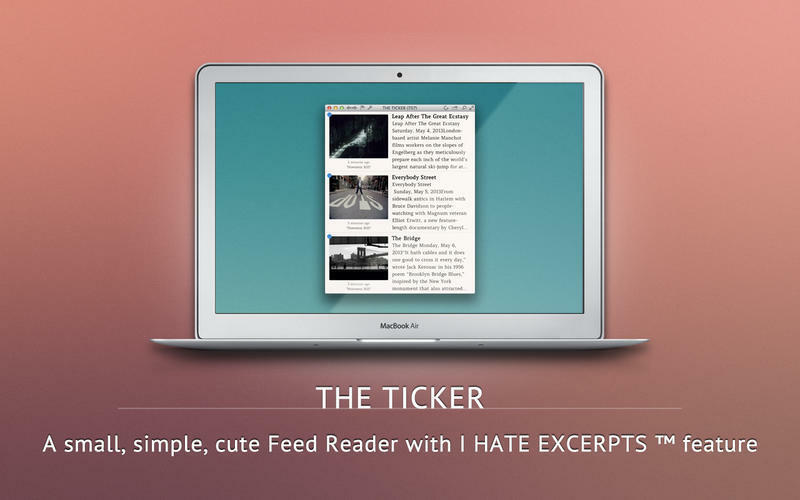 THE TICKER is a small, simple, cute feed reader with the I HATE EXCERPTS feature and features unlimited feeds organized by label and rating that can be arranged by keyboard. It comes with a gorgeous preview, quick look and, of course, multiple sharing options. Everything is searchable and you can store/mark articles for later use. You can navigate by gestures, arrows, keyboard the way you are already used to.